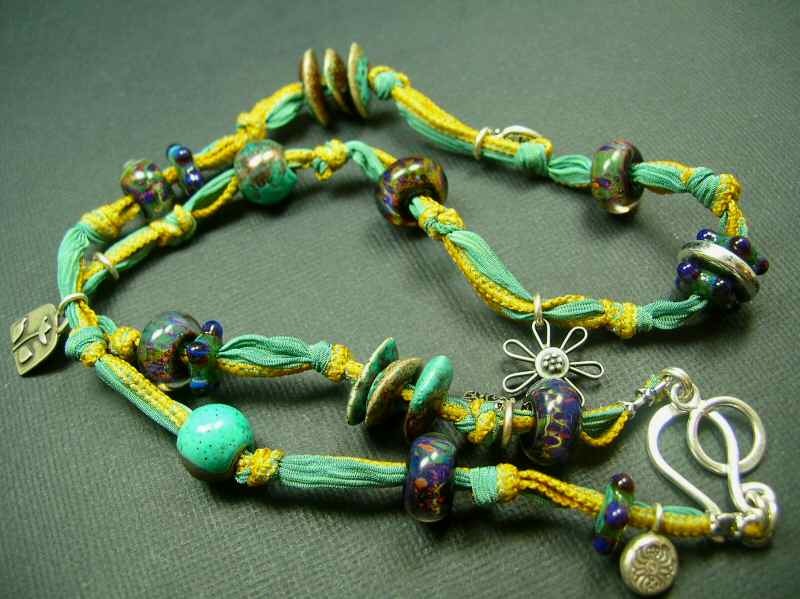 Description: A fun combination of Italian Murano beads handknotted with Sterling charms and closed off with a Sterling hook clasp on Hand Dyed Pure Silk Ribbon. This piece is SO versatile-wear it as a 24 inch necklace (so cool going casual with jeans!) 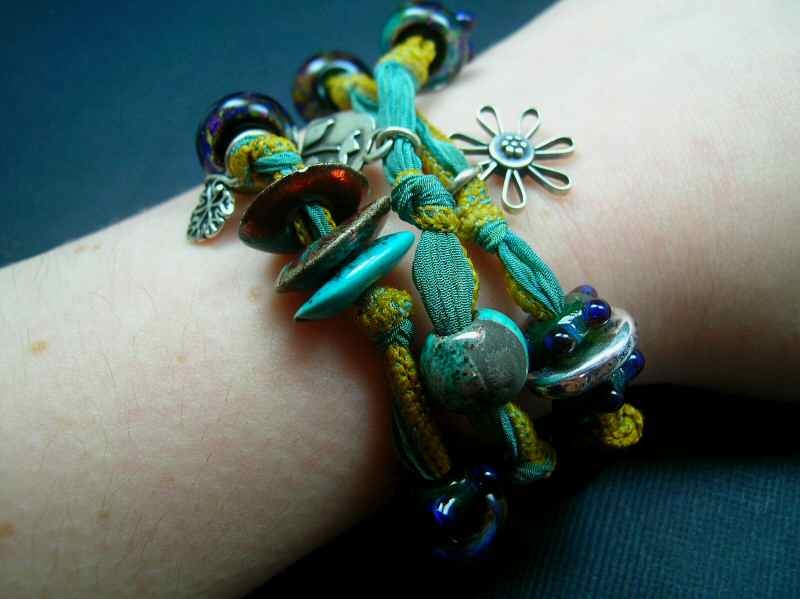 or triple it up on your wrist as a bracelet! I love this style, I wear mine all the time! It is so comfortable, doesn?t feel like it?s there at all but you WILL get compliments! There is a little stretch and beautiful drape to this durable strong fabric, it will fit *most*. 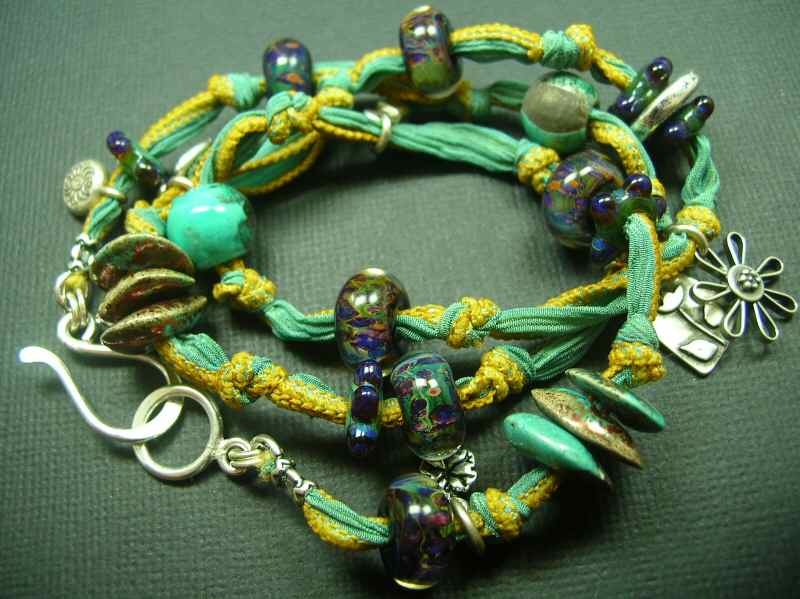 This is for ONE piece, not a combo of necklace and bracelet as two separate entities-the pictures are a representation of the versatility of this design.